President Donald Trump’s infrastructure plan will not include a list of projects, U.S. Transportation Secretary Elaine Chao told the Senate Environment and Public Works Committee (EPW) this week. Shortly after taking office, the National Governors Association forwarded to the White House a wish list of 428 “shovel ready” projects. During a May 17 hearing, Chao said the administration’s detailed plan will not be released until late summer, though a general statement of guiding principles will be forthcoming by the end of this month. Senators on the EPW Committee were not shy about mentioning big projects in their home states, most of them transportation related, including several that could help revitalize America’s Economic Expressway. 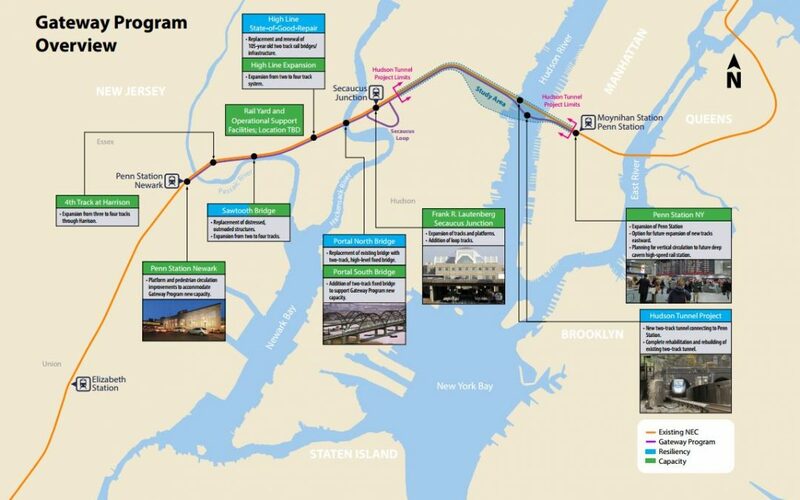 Gateway Program (or Project), a multi-billion dollar expansion and renovation of Amtrak’s Northeast corridor rail line between New York City and Newark, New Jersey, which includes replacing century-old tunnels and bridges. Sen. Cory Boker (D-N.J.) and Sen. Kirsten Gillibrand (D-N.Y.). Merchants Bridge over the Mississippi River between St. Louis and Illinois. 75th Street Corridor Improvement Project in Chicago. Sen. Tammy Duckworth (D-Ill.). Fixing Iowa’s network of rural farm-to-market roads and bridges. Sen. Joni Ernst (R-Iowa). Peninsula Rail Corridor Electrification Project in California. Sen. Kamala D. Harris (D-Calif.). West Virginia’s King Coal Highway. Corridor H of the Appalachian Development Highway System. Rural broadband. Sen. Shelley Moore Capito (R-W.Va.). Factory Street Bridge in West Warwick, Rhode Island. Also, improved Federal Emergency Management Agency flood maps to improve infrastructure planning in all coastal states. Sen. Sheldon Whitehouse (D-R.I.). More assistance for public transportation to spur transit oriented development. Sen. Edward Markey (D-Mass. ).